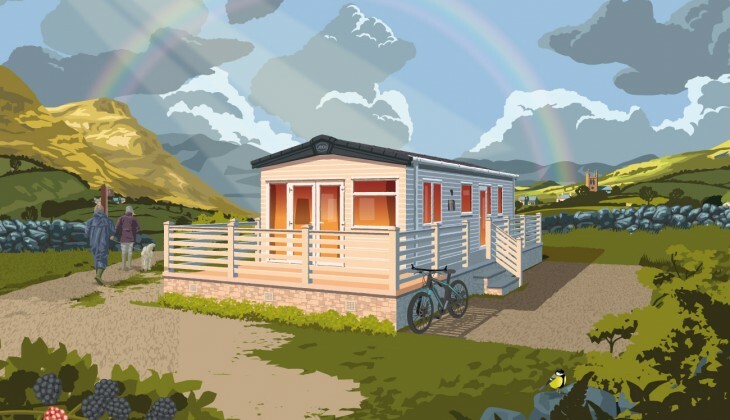 At ABI, our focus has always been on quietly putting more into our holiday homes, rather than on big marketing campaigns and singing our own praises, because the most important thing to us is helping you to make the most of the holiday park lifestyle, or as we call it, the ABI Life. That’s why our vans contain features that other manufacturers skip over – from domestic mattresses to help you enjoy a good night’s sleep, to extra insulation so that no matter how cold it is outside, you’ll be warm inside, and 7ft walls to create a more spacious holiday home. Here at ABI we know that it’s the little things like these that matter. And, we never rest on our laurels. Each year we challenge ourselves to improve as much as humanly possible on last year’s range – this leads to sleepless nights trying to find new ingenious ways to give you even more space and storage! Our technical teams never stop looking for improvements to materials in order to make our holiday homes even more robust or thermally efficient. And our design team agonise over just the right fabrics, colour schemes and layouts to really give you the space and feel you’re looking for. We approach everything we do as one team, signing off each part of the planning, design and build process. We rigorously test and inspect each individual holiday home that we hand-build at our site in Beverley. And only then, when every member of our team is 100% happy, do our holiday homes begin their journey to the parks and approved dealerships we work with.